For years, Michael Grumley dreamed of writing action thrillers the way he thought they should be written; stories with unique plots that move and keep the reader guessing until the very end. 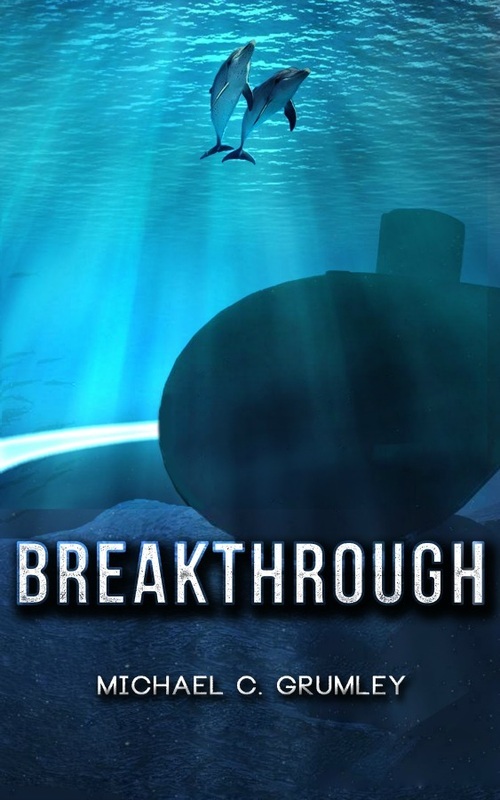 Enter Breakthrough, a story with a fascinating plot which takes the reader on an exciting ride and makes it virtually impossible to guess the ending. He is currently working on his next book “Shadows”, expected to be available in the fall. Deep in the Caribbean ocean, a nuclear submarine is forced to suddenly abort its mission under mysterious circumstances. Strange facts begin to emerge that lead naval investigator John Clay to a small group of marine biologists who are quietly on the verge of making history. Alison Shaw and her team are preparing to translate the first two-way conversation with another animal species, but they are about to discover much more than they ever expected. When a mysterious object is found on the ocean floor and an unknown group suddenly becomes interested in her work, Alison learns that Clay may be the only person she can really trust. Together they find themselves embroiled in a desperate attempt to stop a catastrophe that spans the Atlantic Ocean and reaches all the way to Antarctica.